24 hours a day, 40,000 square feet, 400 types of wines from all 20 Italian wine regions, 2 restaurants, 3 bars, an educational chef's table, 6 food counters representing authentic versions of your favorite Italian delicacies and comfort food plus 5000 retail products you can take home – directly on the Strip. Foodies are asking themselves why Eataly hasn't opened a Las Vegas outpost before now. The debut of Eataly in Vegas' newest resort, Park MGM, marks the world's largest Italian shopping and dining experience's sixth US location. Now, there are more than three dozen global Eataly centers celebrating high quality, sustainable Italian gastronomy. Eataly's philosophy is 'Eat. Shop. Learn'. 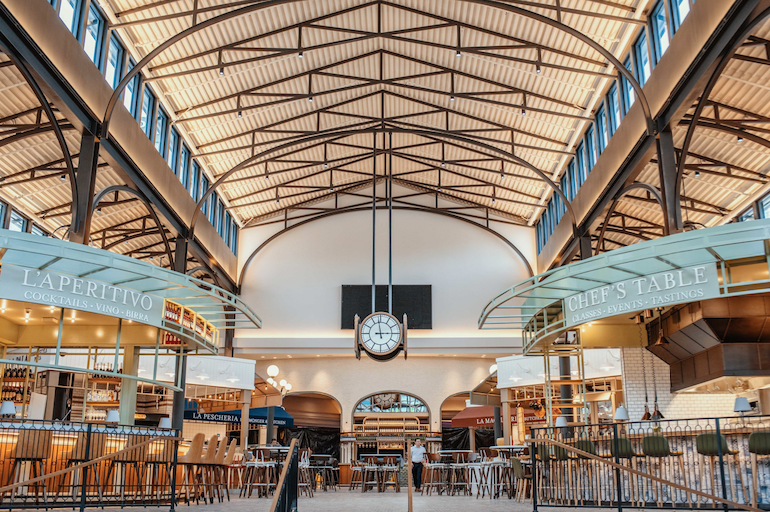 Part food hall, part restaurant, bar, cooking school, and culinary education destination, Eataly Las Vegas continues favorite experiences and adds some new ones. La Macelleria: Butcher & Kitchen and La Pescheria: Fishmonger & Kitchen: choose any cut of sustainably sourced meats and sausages from the case at La Macelleria, or daily catches, seasonal oysters, and Italian ceviche at La Pescheria, watch chefs prepare it for you to eat there, or package it for you to take back to your own kitchen. 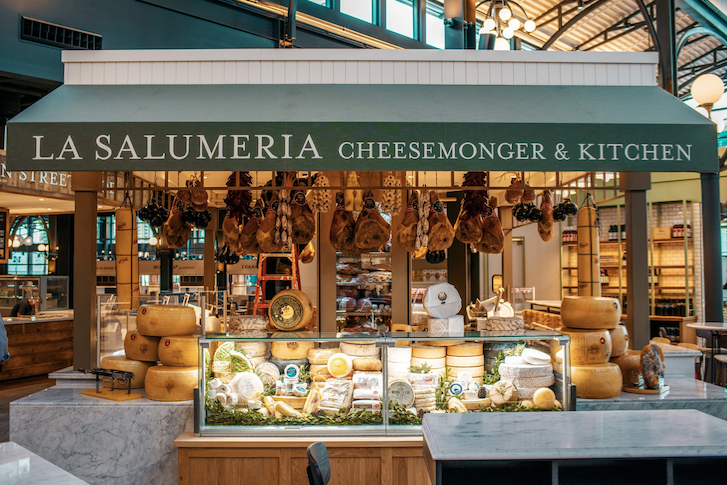 La Salumeria: Cheesemonger & Kitchen: The best of Italian snacking: meat and cheese boards with salumi and formaggi chosen by an Eataly cheesemonger, or by you. More Italian Street Food: Il Fritto, La Rosticceria, and Mozzarella Bar: There's more than pizza to Italian Street Food, and this fresh counter is divided into three areas: Il Fritto, offering lightly fried bites like arancini and fried seafood; La Rosticceria, serving rotisserie roast chickens, seasonal vegetables, and panini; and Mozzarella Bar, offering house-made mozzarella favorites. La Pasta Fresca: Market & Kitchen: Everyone's favorite carbs, kneaded, rolled, cut and formed by expert pasta makers in front of you, covering all the regions of Italy and paired with traditional sauces. In season, you can even order black or white truffles by weight because if there's anything that makes fresh, hand-made pasta even better, it's fresh truffles. L'Aperitivo – The perfect place to start your exploration of Eataly. 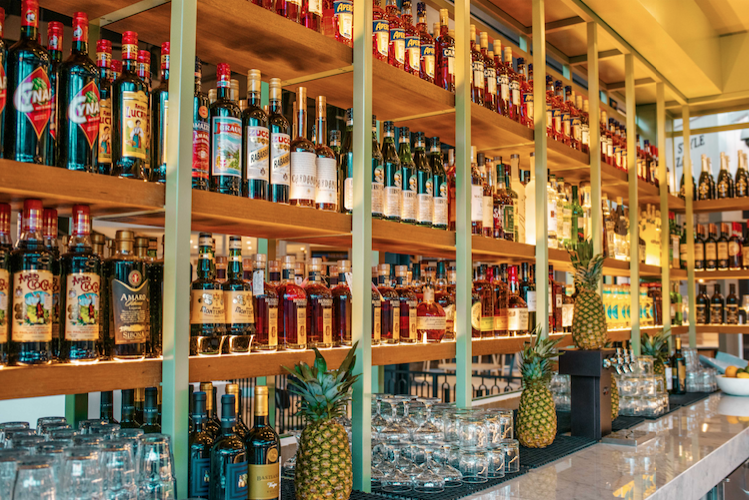 L'Apertivo is at the entrance, and a hand-crafted Italian cocktail of your taste, from a Venetian Aperol Spritz to a fortifying Negroni, will get you into the spirit of Eataly Las Vegas. Gran Caffè Milano – an upscale, full-service bar inspired by the elegant cafes of Milan, serving breakfast, lunch and dinner. Don't miss the replica of Milan's famous bull mosaic – a good luck symbol helpful to gamblers in Las Vegas when you put one foot on the mosaic and spin three times around. L'Enoteca – The 'Wine Bar' is Eataly's premier bar and serves up all of Italy's finest – from more than 80 regional wines by the glass or bottle, craft cocktails, even bitters. 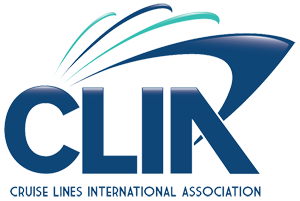 and will feature a wide selection of regional Italian wines by the glass or bottle, craft cocktails, and Amari (Italian bitters). Your wine selection is even greater at the wine shop and tasting table, where you'll find one of the largest selections of Italian wines in the States: over 400 labels from all 20 regions of Italy. Relax at the table at two classic restaurants: Manzo, La Pizza e La Pasta, or grab take-away pizza by the slice, pastries, all things Nutella at the Nutella bar, true Italian coffee, even pastas, sauces and gifts or souvenirs like Eataly branded clothing, kitchenware and mementos. Live culinary demonstrations at the interactive Chef's Table inspire visitors of all ages to explore and taste the world of Italian cooking traditions hands on, from shaping gnocchi to understanding the difference between Toscana and Sicilia extra virgin olive oil. And makers at many stations and shops create fresh pastas, bread, gelato, cheese, and more to your wondering eyes. Eataly's Italian gastronomic playground joins other star power dining and entertainment experiences at the new Park MGM. If you haven't been to the Strip lately, follow the scents anytime day or night to Eataly, which we're predicting will be one of the most iconic, must-do experiences in Las Vegas.